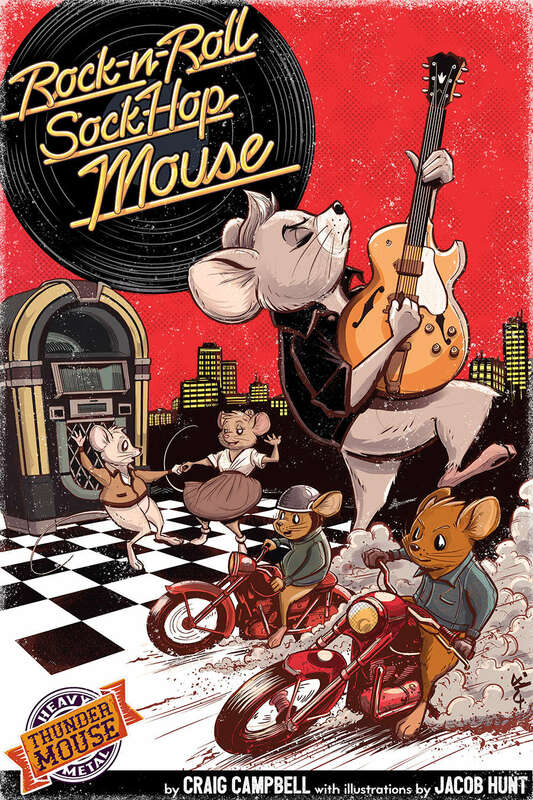 Shoreless Skies Publishing: Rock 'n' Roll Sock Hop Mouse is out now! Rock 'n' Roll Sock Hop Mouse is out now! I'm excited to announce that Craig Campbell's brilliant Rock 'n' Roll Sock Hop Mouse is now available! Take your game of HMTM back in time to the late 1950s or early 1960s and Thunder City is enjoying a boom. Mice are optimistic. The city is growing, making it easier to find food, supplies, and raw materials for making motorcycles. And it’s the dawn of rock!